This buyer moved from Portland to Seattle and after some time in the city decided he was staying for good and it was time to buy. He hooked up with a lender who got his pre-approval squared away and then was pointed in our direction by that lender. The hunt was on. Thank you Jeff Van Nostran from Salal Credit Union for entrusting us with your client! 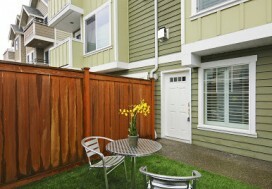 We began looking for 2 bedroom condos in areas from Capitol Hill to Ballard to West Seattle. However, requirements changed when this buyer purchased a new Tesla and needed the ability to have an electric car charging station for his new ride. That switched the search to townhomes, which gave him the ability to add this amenity without needing board approval of a condo to add one to a common element of the building. He also decided new and modern was more his style. We narrowed in. 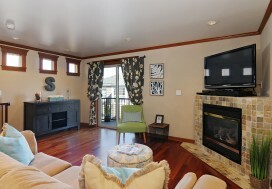 Wanting both bedrooms on the same floor, we narrowed some more. And then we found it. 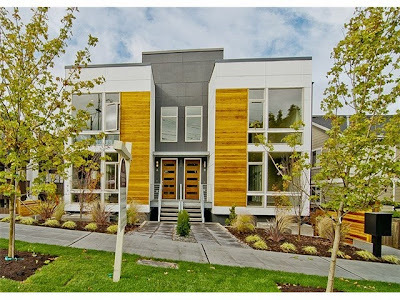 A fabulous new construction modern townhome with private garage in West Seattle, just up from Alki beach. We navigated him through the process from price to offer, to the offer writing, to the inspection and through to closing. It was a smooth ride, just like his Tesla! Enjoy Alki beach living Myles!